Last week we had a pleasure of hosting Health Hub Utrecht delegation at Maria 01. For the past couple of years, we have been building bridges between Finland and the Netherlands supported by the Netherlands embassy in Helsinki and had their delegations attending our Upgraded Life Festival. We see that Finland and the Netherlands have a lot in common, and Amsterdam same as Helsinki was mentioned in Global Startup Ecosystem Report 2018 (Startup Genome) among the most important global health and life sciences ecosystems. But this time in the spotlight was the city of Utrecht, where the various parties work together to bring health and happiness to their residents. 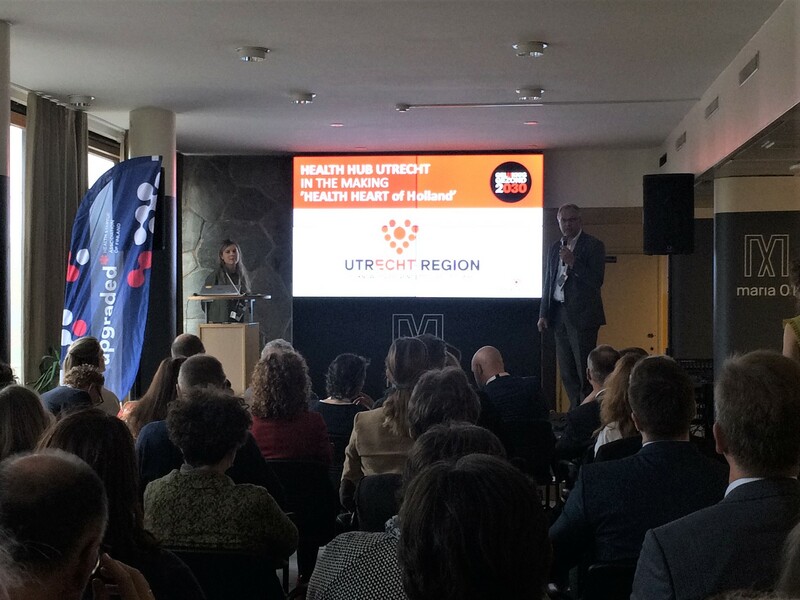 Health Hub Utrecht is a network of hospitals, GPs, universities, colleges, researches, policymakers and companies joining forces to position Utrecht as a healthy heart of the Netherlands. Their mission is to solve social challenges and have healthy and happy Utrechters, co-creating the solutions with the citizens and companies in the region. The areas they’re focus on are prevention and social care (how to keep citizens healthy and happy and away of care), digital transformation (one healthrecord, implementation of ehealth), labour market (what is the future for labourmarket in healthcare, how to employ the right people). 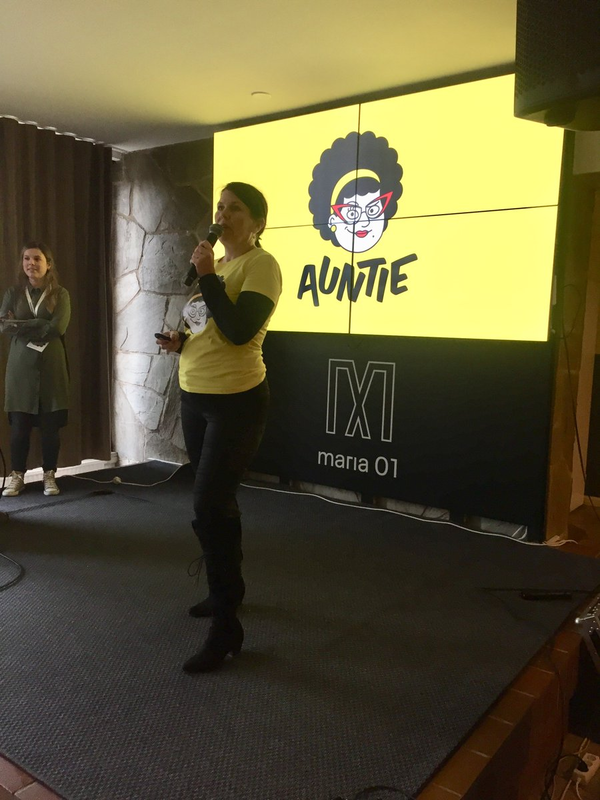 They came to Finland to gain inspiration and strengthen their network. 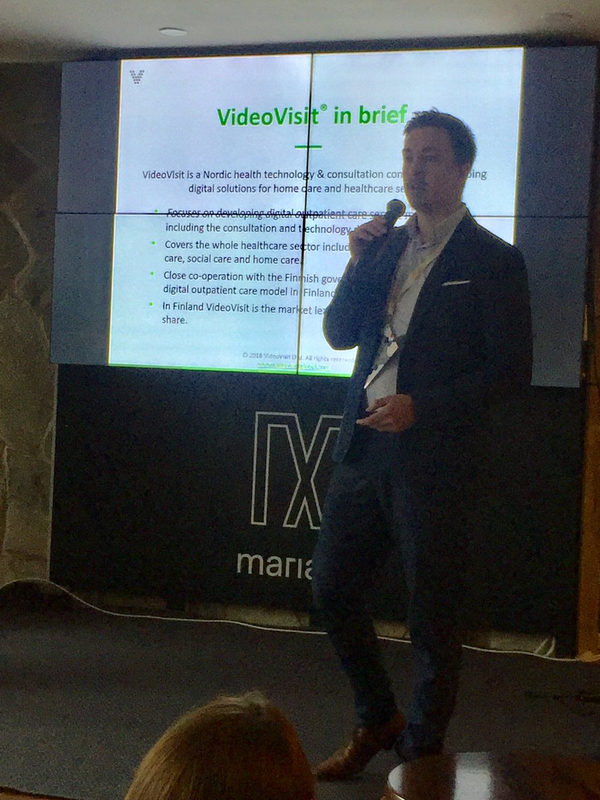 During the two-hour visit, Upgraded presented an overview of the Finnish health innovation ecosystem together with the seven startups showcasing their solutions. 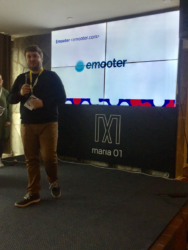 Voitto Kangas, CEO of Maria 01, introduced the house. 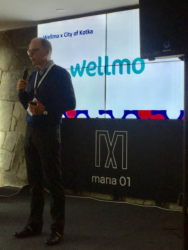 This was a great moment not only to meet with the international colleagues but also gather together with our local Helsinki health community, including Terkko Health Hub, Helsinki city and Helsinki Business Hub. 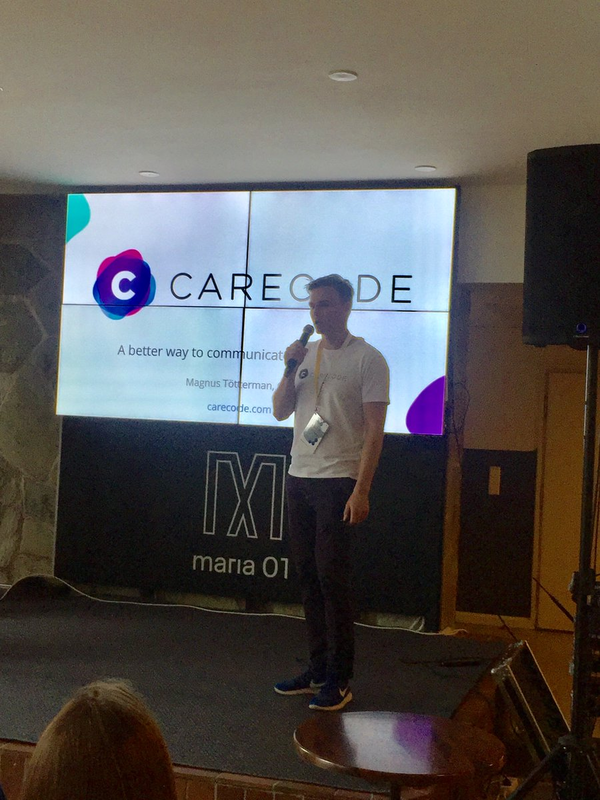 Carecode offers a better way to communicate in healthcare. 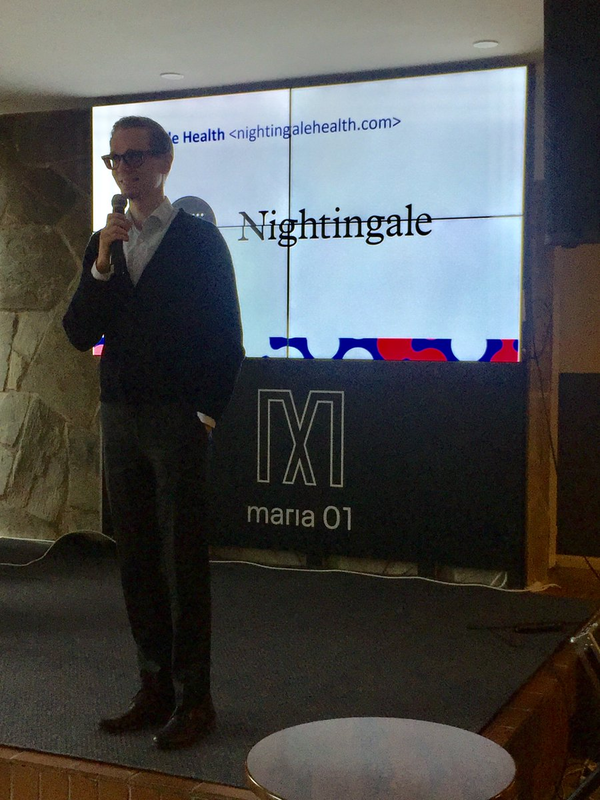 Nightingale Health explainined why healthcare – or “sick care” is such a mess and how they’re fixing it with their solution! Auntie’s mission is to solve everyday crises in companies. 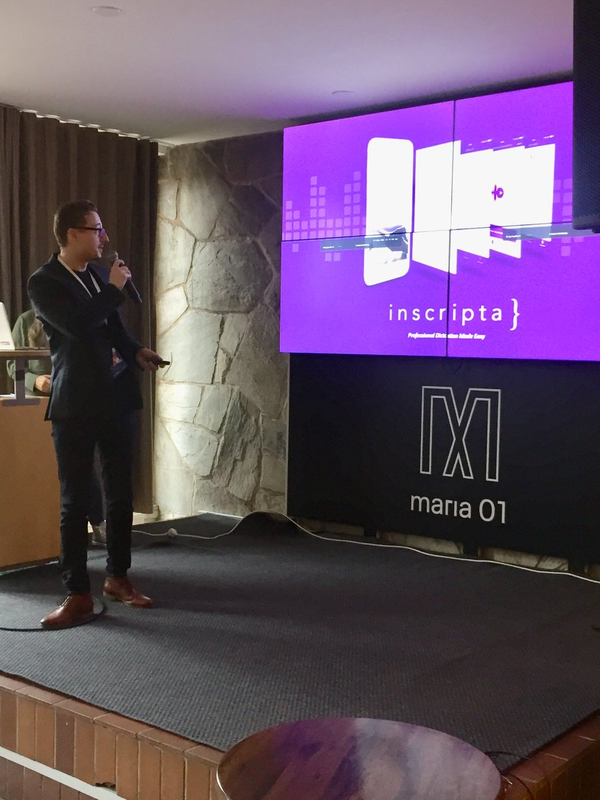 Inscripta offers a digital solution for documentation in healthcare by turning a smartphone into dictation and transcription device, saving time and energy for healthcare professionals! Emooter’s service offers employees an easy-to-use, evidence-based way to track how they are doing at work. Video Visit just hit one million visits through their platform and is the market leader in their field! Wellmo told about their fruitful cooperation with the city of Kotka in solving issues with serving the ageing citizens. It was an inspiring morning filled with fruitful discussions and suggestions on possible future cooperation. Health Hub Utrecht showed us a great example of a connected community and invited us to come and visit them in the Netherlands. Subscribe to Upgraded's Monthly Newsletter! 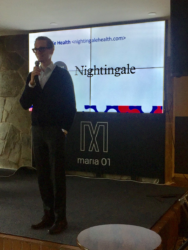 HealthTech Industry news to your email, once a month or so. No spamming, no strings attached - just all you need to know. You have now successfully subscribed to the newsletter!